^ Richmond, Ray. Review: ‘The 69th Annual Academy Awards’. Variety (Variety Media). 1997-03-24 [2016-03-08]. （原始内容存档于2016-03-04）. ^ Williams, Jeannie. Crystal takes on role of Oscar host again. USA Today. 1996-11-19. ^ Hindes, Andrew. Horvitz set to direct Oscar telecast. Variety (Variety Media). 1996-12-19 [2016-03-08]. （原始内容存档于2016-03-04）. ^ Sinclair, Tom. Monitor. Entertainment Weekly. 1996-11-29 [2016-03-08]. （原始内容存档于2015-09-19）. ^ Past Scientific & Technical Awards Ceremonies. Academy of Motion Picture Arts and Sciences. [2014-09-24]. （原始内容存档于2014-09-24）. ^ Bates, James. An 'English' Epic. Los Angeles Times. 1997-03-25 [2016-03-08]. （原始内容存档于2016-03-06）. ^ Dudek, Duane. Oscar night belongs to 'English Patient'. Milwaukee Journal Sentinel. 1997-03-25 [2016-03-08]. ^ Oscar watch. Variety. 1997-02-04 [2016-03-08]. （原始内容存档于2016-03-04）. ^ Dudek, Duane. Oscar Declares Independent's Day 'English Patient' benefits as academy turns the spotlight on outsiders with artistic integrity. Milwaukee Journal Sentinel. 1997-02-12: 8. ^ Bates, James; Puig, Claudia. Independents Day for Oscars. Los Angeles Times. 1997-02-12 [2016-03-08]. （原始内容存档于2016-03-05）. ^ Gray, Tim. `English' Channels 9 Oscars. Variety (Variety Media). 1997-03-25 [2016-03-08]. （原始内容存档于2016-02-16）. ^ Van Gelder, Lawrence. 'English Patient' Dominates Oscars With Nine, Including Best Picture. The New York Times (The New York Times Company). 1997-03-25 [2016-03-08]. （原始内容存档于2016-03-06）. ^ Saperstein, Pat; Natale, Richard. Oscar-Winning Producer Saul Zaentz Dies at 92. Variety (Variety Media). 2014-01-03 [2016-03-08]. （原始内容存档于2016-03-04）. ^ 14.0 14.1 Hindes, Andrew. Thalberg honor goes to Zaentz. Variety (Variety Media). 1997-01-15 [2016-03-08]. （原始内容存档于2016-03-04）. ^ The 69th Academy Awards (1997) Nominees and Winners. Academy of Motion Picture Arts and Sciences. [2016-03-08]. （原始内容存档于2016-03-04）. ^ Hindes, Andrew. Academy to honor Kidd. Variety (Variety Media). 1997-01-16 [2016-03-09]. （原始内容存档于2016-03-07）. ^ Marcus, Errico. Billy Crystal to Host Oscars...Again. E!. 1996-11-18 [2016-03-11]. （原始内容存档于2015-09-06）. ^ Billy Crystal Back At Helm Of Oscars. Chicago Tribune. 1996-11-19 [2016-03-11]. （原始内容存档于2016-03-04）. ^ Snead, Elisabeth. Crystal out to Net jokes for Oscar show. USA Today. [2016-03-11]. （原始内容存档于2016-03-04）. ^ Bowles, Jennifer. Oscar show to celebrate communion of moviegoing. Deseret News. 1997-03-21 [2016-03-11]. （原始内容存档于2016-03-04）. ^ Hindes, Andrew. Acad bows poster for 69th Oscars. Variety. 1996-12-10 [2016-03-11]. （原始内容存档于2016-03-05）. ^ Oscar Watch. Variety (Variety Media). 1997-01-12 [2016-03-11]. （原始内容存档于2016-03-04）. ^ 24.0 24.1 24.2 Pond, Steve. The Big Show: High Times and Dirty Dealings Backstage at the Academy Awards. New York, United States: Faber and Faber. 2005. ISBN 0-571-21193-3. ^ Marcano, Tony. Chronicle. The New York Times (The New York Times Company). 1997-03-24 [2016-03-08]. （原始内容存档于2016-03-05）. ^ 26.0 26.1 1996 Academy Award Nominations and Winner for Best Picture. 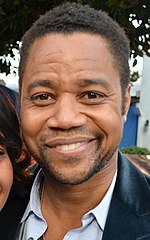 Box Office Mojo (IMDb.com). [2016-03-11]. （原始内容存档于2016-03-04）. ^ 27.0 27.1 1996 Domestic Grosses. Box Office Mojo. IMDb.com. [2016-03-11]. （原始内容存档于2016-03-04）. ^ Ostrow, Joanne. Even Crystal Runs Out of Steam. The Denver Post. 1997-03-25. ^ Lowry, Brian. Fine Crystal Competes With a Lot of Dull Sheen. Los Angeles Times. 1997-03-25 [2016-03-11]. （原始内容存档于2016-03-05）. ^ Sepinwall, Alan. It was no Crystal ball as host came up flat after 3-year hiatus. The Star-Ledger. 1997-03-25: 6. ^ Riceky, Carey. 9 Oscars For `English Patient' It Captured Best Picture And Director. 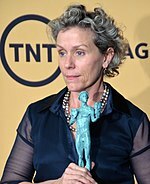 Acting Honors Went To Frances Mcdormand And Geoffrey Rush. The Philadelphia Inquirer. 1997-03-25 [2016-03-11]. （原始内容存档于2016-03-04）. ^ Johnson, Steve. The Broadcast. Chicago Tribune. 1997-03-25 [2016-03-09]. （原始内容存档于2016-03-04）. ^ Littlefield, Kinney. Host Billy Crystal makes Oscar classy and sassy again. Orange County Register. 1997-03-25: F4. ^ Johnson, Greg. Call It the Glamour Bowl. Los Angeles Times. 1999-03-18 [2016-03-11]. （原始内容存档于2016-03-05）. ^ Lowry, Brian. Bright Oscar Lights Shine in Cities, Not Elsewhere. Los Angeles Times. 1997-03-26 [2016-03-11]. （原始内容存档于2016-03-06）. ^ 36.0 36.1 Academy Awards ratings (PDF). Television Bureau of Advertising. [2016-03-11]. （原始内容 (PDF)存档于2016-03-03）. ^ Primetime Emmy Award database. Academy of Television Arts and Sciences. [2016-03-11]. （原始内容存档于2016-03-04）. ^ Lowry, Brian. NBC Takes Home 15 Emmys in Early Award Presentations. Los Angeles Times. 1997-09-09 [2016-03-11]. （原始内容存档于2016-03-06）.